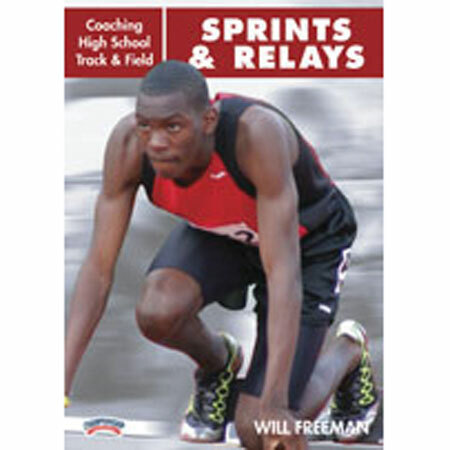 In this excellent presentation, Will Freeman offers a comprehensive "A-to-Z" guide for training the high school sprinter. He highlights a number of important considerations for developing a successful sprint program, including working with multi-sport athletes, training with a purpose, making training fun and challenging and identifying sprinting talent. Freeman introduces his "Training Inventory," detailing the components necessary for training sprinters. He follows with very detailed routines that you can use to train each component including: Daily Warm-Up, Acceleration, Speed, Speed Endurance, Start and Acceleration Cues, CNS Sprint Drill, Lifting, Core Strength, General Strength Routines, Pillar Routines, Hurdle Strength Routine, Medicine Ball Routines and Multi-Jump Exercises. Freeman next lays out the 12-16 Week "Macrocycle" (Seasonal training plan) and identifies specific training goals for each phase of the season. Freeman explains what should be incorporated into a weekly plan and offers a day-by-day detailed workout plan for choosing specific routines for specific days. In the relay section, he details everything you need to run a successful sprint relay, including how to choose the order of the four sprinters, lane placement, using placement markers and exchange methods. In addition, Freeman shows a number of relay drills and how to build relay work into your practices. This excellent sprint package is easy to follow and easy to implement.